November is here and it is the best time to do your Christmas shopping. Especially if you want to order custom OOAK gloves for your dear friend or family member on line. Also sharing with you some customers feedback. Thanks! Let me know what you think. Would you order a pair or recommend to friends? This is a historical moment for BZ Fingers. It changed the store section name, the blog category, the blog description and the name of the blog itself. Now, all my beloved dog lovers, we have company! A CAT! One day I was surfing Internet for some black and white images for one of my numerous projects. One picture grabbed my attention. I really loved and still loving it. I had to put it on gloves. Here is an awesome gift for cat lovers! Your baby stays home but you can take him/her with you wherever you go! And what is also wonderful about it? 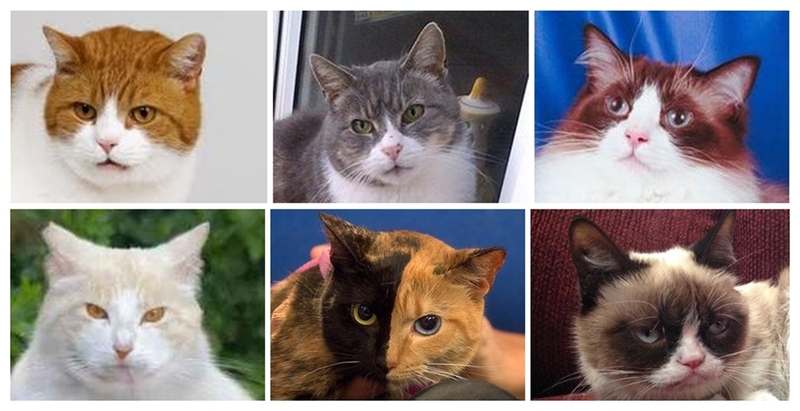 By choosing a different fleece color you can get gloves with different cats. Eye color also can be changed. Order Your Cat Gloves Today. Check out my store for more pet lover gifts. Yes, July is a slow month for BZ Fingers gloves… There are very few sales. However! I love it actually! I take my time when I get the order. Especially when it is someone as cute as this one. 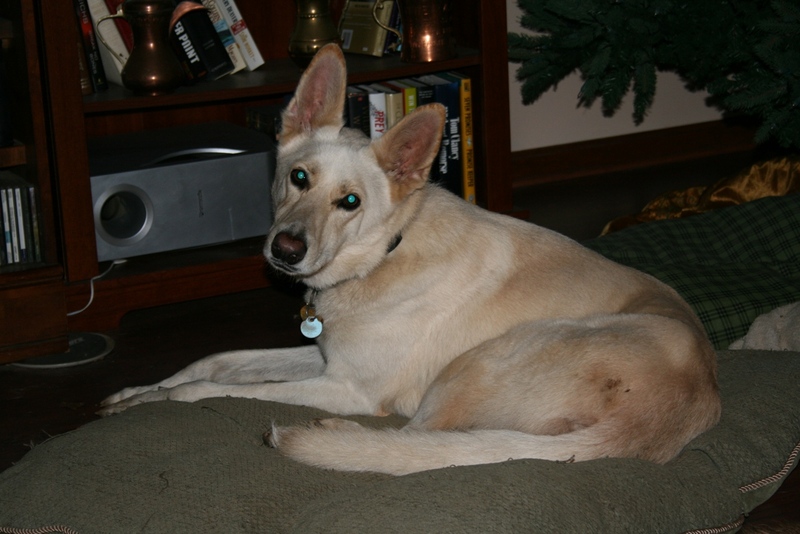 His name is Brody (Marcus Brody) and he is a white German shepherd with what they call biscuit coloring. Awesome! BZ Fingers FB page works! I thought it’s useless, but you never know who is visiting your page and actually watching what you are up to. Also hope I am not spilling out a secret and Ginger’s daughter is not reading my blog. 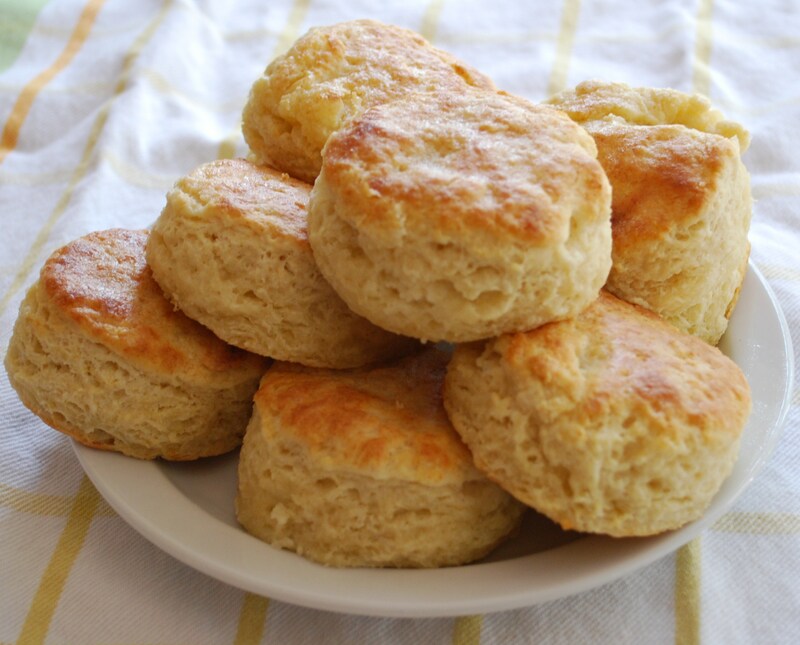 Oh, NO, those are biscuits! Order Your Custom Gloves Today. Check out my store for more dog lover gifts. Summer is here. Have some fun. It’s fun for kids too. For them you don’t even need to buy a sprinkler, you can make one of those. Click on the image to find out how. Check out BZ Fingers store for dog lover gifts. CHRISTMAS IN JULY here at BZ Fingers! The event runs entire month of July. All items in “Christmas in July” section will be reduced by 20%!!! Mission impossible dog gets back into his yard! Personalized gloves always have a story to tell. Actually this is a great idea for dog lover gifts, especially for someone special that you have a warm and loving relationship with and you want to surprise them with a unique gift idea. Now here’s an emotional story about a truly loving and caring grandma I had the honor to meet. One day I received an order and a message that came with it: “These gloves are for my 9-year-old granddaughter who recently lost her dog. She has such a heart for animals, and I’m so glad I found you on etsy! 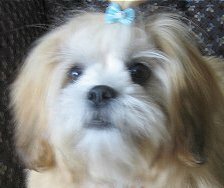 Since you can customize, I would like the all-pink with a fuzzy dog like a brown Lhasa Apso. So, I made exactly what she asked for – a pair of pink gloves with a fuzzy dog like a brown Lhasa Apso for her dear granddaughter. After a couple of weeks I got a message from Jan.
Order Custom Gloves . Check out my store here for more dog lover gifts.